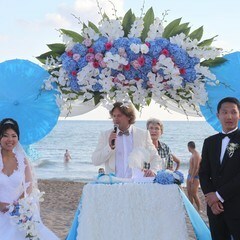 Weddings On The Coast Of Antalya Are Very Romantic. 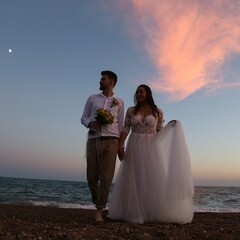 Beach wedding in Turkey is now best wedding destination for wedding couples. 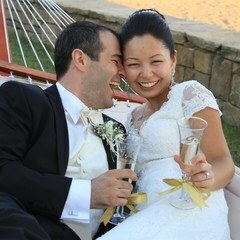 As a wedding planner in Turkey we offer the best wedding service for your beach wedding in Turkey. Wedding Altar decorated with colourful flowers, marriage table decorated with fabric and flowers are the irreplaceable things of bride & groom for the wedding day. Special wood ceremony chairs decorated with chiffon and flowers for the wedding guests, white ceremony carpet on the bridal walkway with rose petals on it will be exactingness for everyone at the wedding. Wedding photographs will be magnificent when bride and groom come to Altar for wedding ceremony by walking on the special bridal walkway decorated with flowers and fabric chiffons. 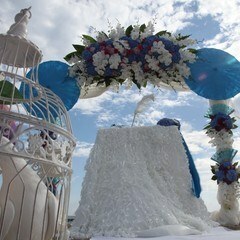 Preparing the perfect decoration of your beach wedding in Turkey only could be wedding planner’s success. but we mustn’t forget the visual support of the Mediterranean’s turquaise water and beach. There are footprints of hundreds bride and groom on the beaches of Antalya which are the pearl of the Mediterranean experienced unforgettable romance. Turquoise waters of the Mediterranean and lacy sandy coast are like a tableau. 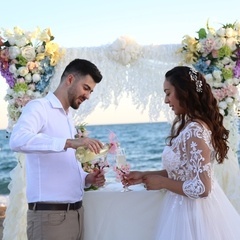 Our Company Wedding City Antalya does not avoid from any self-sacrifice for organizing the Wedding like a dream for the couples at the soothing beaches where the green meets the blue by decorating the Altar with colorful flowers. 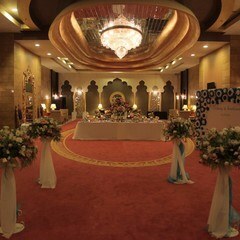 Our purpose is the wedding ceremony should be stay as a special moment for years will not be deleted from memory. 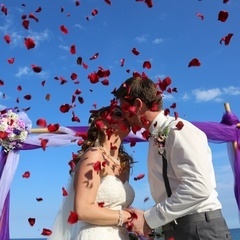 Beach wedding photos during the ceremony will remind you the memories you have experienced at your beach wedding. 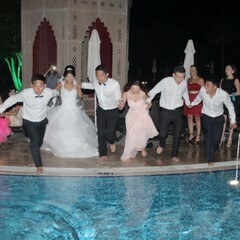 Therefore the couples gor married in Antalya are coming again and again to feel the same thoughts.